Those already familiar with the Storck line-up will recognise the Aernario name as the German brand’s aero road offering. Those less familiar may not realise from first glance that Aernario is Markus Storck’s wind-cheating bike. Rather than create tube profiles that are solely driven by aero numbers, he’s opted to take a more subtle shaping process. This means you have a bike that still looks like a bike (a complaint that’s often levelled at those with the most aerodynamic shapes) and all importantly, from the company’s point of view, a bike that doesn’t compromise the comfort and handling. 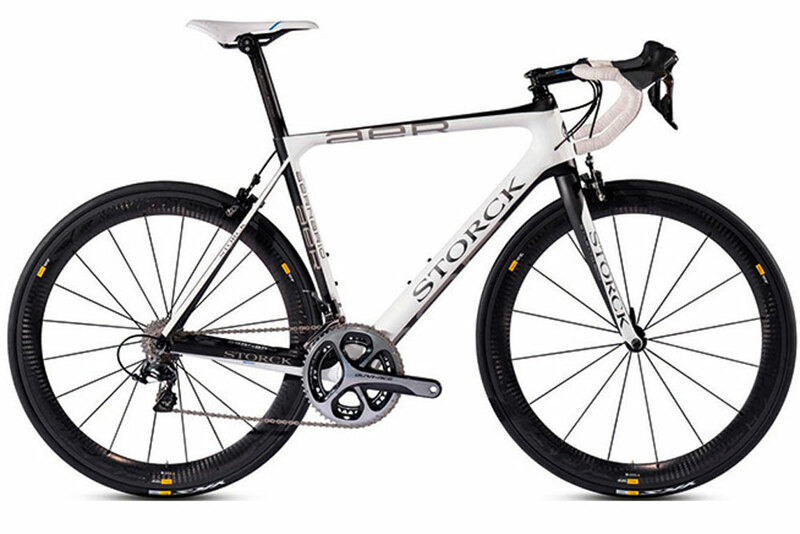 In the Disc, Storck wanted to make a bike that brought a more imaginative and engineering-based view of disc brakes to the shops. Rather than take a standard road bike, add disc brake mounts and beef up the forks and stays to suit, Storck’s approach has really caught our eye by redesigning the dropouts to create a through-axle design. This innovation means that the dropout as such has been replaced by a simple hole, as on many modern mountain bikes. At first glance you’ll struggle to notice the difference, it’s only when you know to look a little closer that you will spot the lack of slot in the frame. 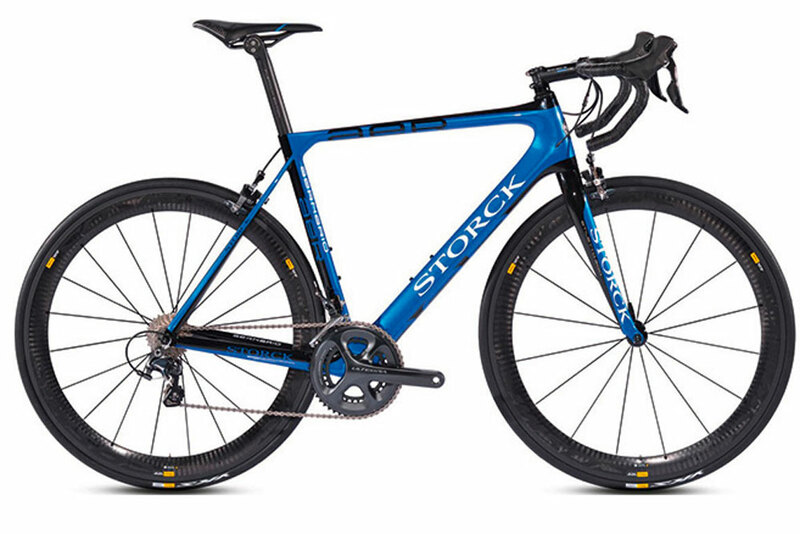 To make this work Storck needed a specific wheelset, so teamed up with another company known for its engineering — DT Swiss. 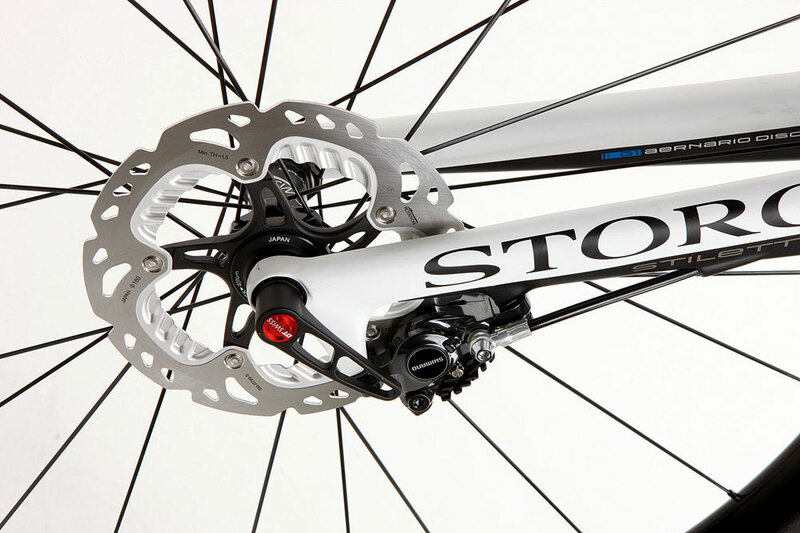 The result of the collaboration is a Storck-exclusive hub, with a 10mm axle at the rear and 9mm in the front, while the rear spacing is 135mm. The axle design is simple in appearance; an oversized, hollow QR, with the thread built into the opposite dropout. Of course by making this change, a redesign of the dropout was needed, but then that area needed attention anyway since the braking load of the disc brake has been moved, too. Thinking of that load, the through-axle has an additional benefit as not only can the opposing dropout share more of the load, but the whole area is strengthened too for normal riding loads. This should help offset some of the extra material needed. It’s all very clever in our eyes. Expect to pay £3,399 for the frameset. 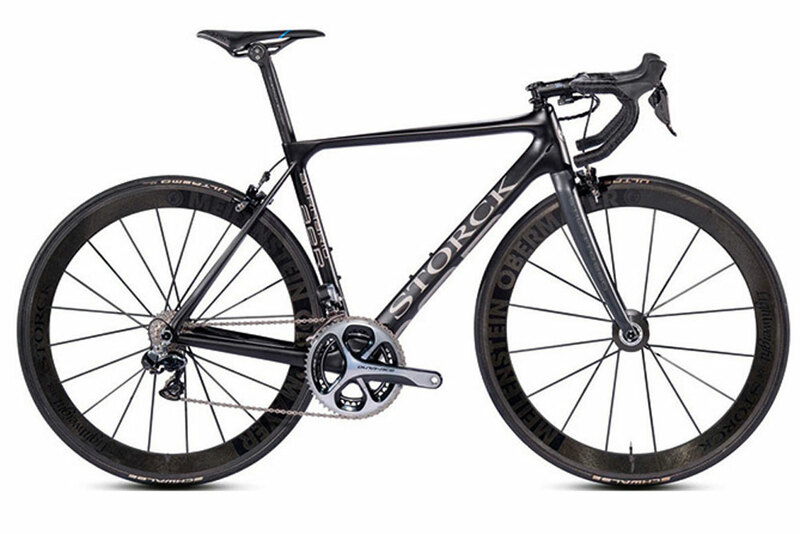 The DT Swiss R23 wheels are exclusive to Storck, so you’ll need to buy them with a complete Ultegra Di2 and hydraulic disc brakes for the £6,599 bike.